Last May, we sent a group to Chicago during the NBA Combine to showcase a prototype Connexion kiosk the Aspire team had developed in a span of 6 weeks, along with its first application, Fusionetics+. Taken together, the technology generates AI-powered, touchless health screenings and personalized training programs for athletes. The result of the debut was even more positive than we had imagined. Now, only 9 months later, Connexion is a full-fledged company and they’re winning some headline-grabbing customers. 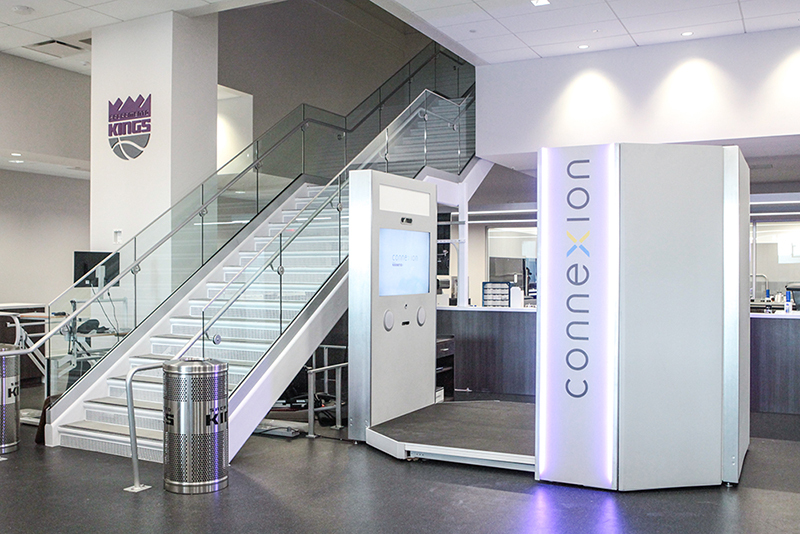 Yesterday, Connexion Health announced that the Sacramento Kings was among the first of two NBA teams that would utilize the Connexion kiosk. “The Sacramento Kings will use Connexion to measure and analyze their players’ key physical attributes including their posture, lateral balance, and body movement, in order to prevent injuries, improve their on-court performance and fitness levels, and lengthen their playing careers,” the press release reads. SportsTechie also published an article on the Kings announcement, lauding some of the potential benefits the kiosk can provide the team. But this is just the beginning. With a host of other third-party health applications already in the works, Connexion is expected to affect far more than just the sports science industry. They’re poised to transform health and wellness across a broad range of industries and are already in talks with healthcare systems, physical therapy practices, major retail companies, insurers, fitness centers, and self-insured employers. We’re thrilled to see what’s next for Connexion Health. For more information, check out their website, or follow their progress on Twitter, Facebook, and LinkedIn.